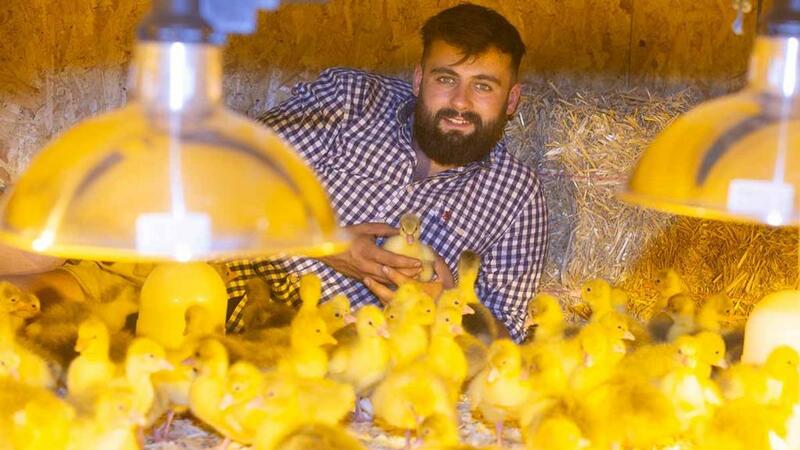 We are following young farmer, Freddie Hammond, on a 12-month journey as he sets up his goose business, Brewer’s Goose, from scratch. The idea behind Brewer’s Goose has been a work-in-progress since a rainy Tuesday afternoon in New Zealand five years ago. The idea has always been simple; to create a high-quality meal which engages customers through the story of how it has been farmed. I’ve always thought farming transparency is a proven winner with the British public. Look at the progress of supermarket food traceability schemes and the rise in popularity of television programmes such as the BBC’s Countryfile. Who’d of thought stories of country lifestyle and farming would overtake the might of Simon Cowell’s X-Factor in viewing figures? The words traceability, sustainability, transparency, and others to that effect, were drilled into us more times than I care to remember during my time at Harper Adams University. At the time, I don’t think many of us gave much appreciation to what these terms really meant, or how they were relevant to what we wanted to achieve - most of us just wanted to learn which sized spanner we needed to fix our oversized tractors. However the essence of these phrases must have sunk in at some point, with several of my friends and colleagues leaving University and setting up businesses with traceability and sustainability at their heart. From artisan burger bars to raw milk vending machines, there is certainly a new generation of farmers who recognise the value of agricultural authenticity. If this new generation is anything to go by then Brewer’s Goose is always going to be a voice in a crowded marketplace, full of new and exciting ideas all battling it out to catch the ear of the discerning public. The question for me is this: Out of all these loud voices in the industry, how can Brewer’s Goose shout the loudest? Or is it a question of shouting at all? The more I explore, the more I listen, the more I learn. This process has clarified for me that it’s not about shouting, it’s about speaking in a way that makes people listen. Yes be loud, but also be clear and be concise. If the journey so far has taught me anything, then it is to be 100 per cent clear in what you are communicating. We are fortunate to find ourselves in a world where social media can play such a significant role in adding momentum and attention to an idea, concept or new business. Social Media has the potential to target and deliver to a specific group of people. For example, if I post an image on Instagram, I can specify what type of person I want viewing my post through a number of categories; male, female, age, search history, geographical location, follow history - the list goes on. So instead of posting a hundred photos a week, and relying on natural growth through family and friends’ word of mouth, I can get one brilliant image on to the phone screens of my exact target audience, making at least one branch of my communications smartly efficient - and all for next to nothing in cost. So for now, lets keep working on how we talk about ourselves, but more importantly, keep working on who we’re talking to.